This cake taste very delicious and is very soft, It also has the unique taste of apricot. Even though it takes a lot of time to make its worth it. 1.) In a mixing bowl beat your eggs on a medium speed while gradually adding sugar. Next add baking powder, vanilla sugar and sifted flour. Mix with a spatula and pour your mixture into a cake baking rectangular pan. (10×14 inches). Bake for 35 minutes on 375ºF or until a inserted tooth pick comes out clean. 2.) Beat your egg whites with sugar until high peaks form. 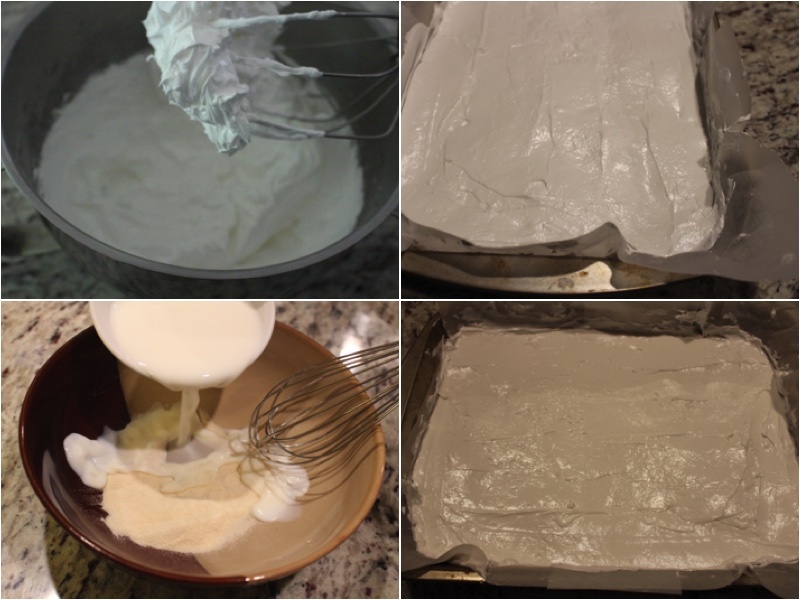 Pour your meringue mixture into the same cake pan with parchment paper and bake for 30 minutes on 250ºF and then change the temperature to 200ºF and cook for 2 more hours. While the meringue is baking, mix your gelatin with milk in a separate bowl and let it sit in a room temperature are for 20 minutes. 3.) While your gelatin is sitting beat your heavy cream with apricot preserves until you have a soft cream. Continuing add your sour cream and sugar into a pot and mix. Place your pot on a stove and heat it up until it starts boiling on a medium heat. Afterward add your gelatin mixture to the sour cream and mix well with a spatula. Turn the stove on again and bring it to a boiling point with the gelatin. 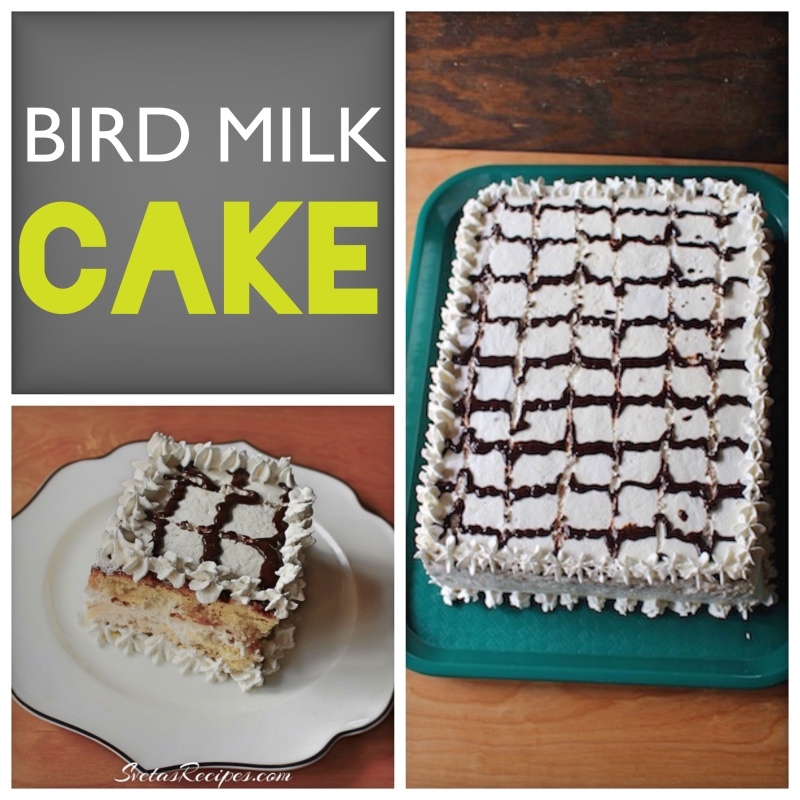 Pour your gelatin mixture into another cake form and place it into a cold area. 4.) Mix apricot preserves with boiling hot water. 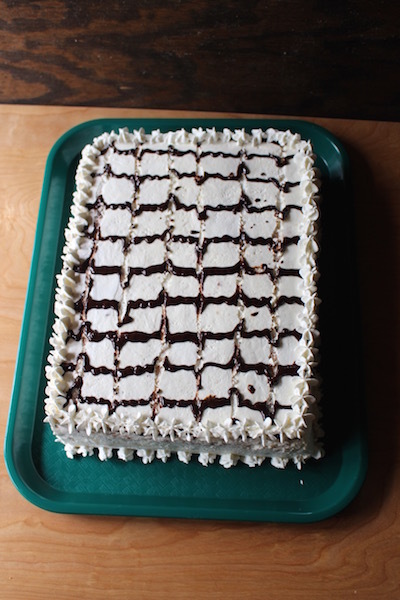 Take the cake that you baked earlier and cut it into 3 different layers. Soak each cake layer with your apricot preserves mixture, next add cream using a spatula. 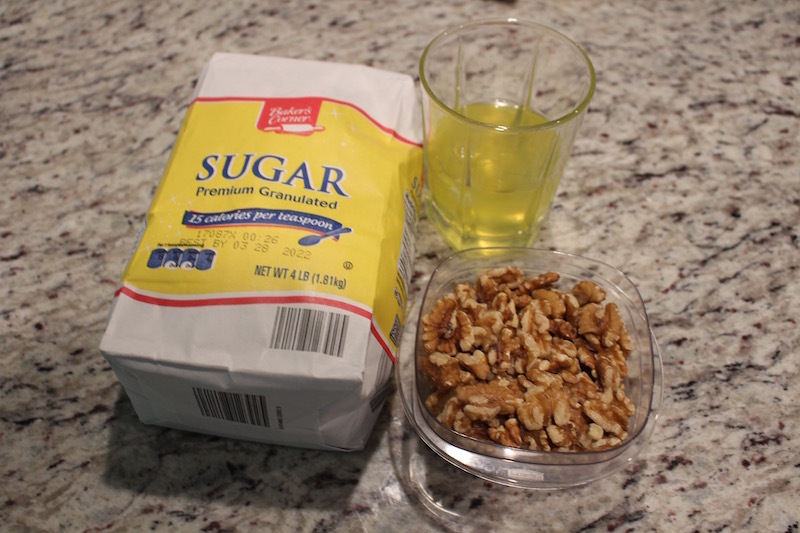 Sprinkle your crushed walnuts on top of the cream. 5.) After, add your gelatin layer (Birds Milk) on top of the walnuts. Add another layer and add your cream and crushed wall nuts. On top add your meringue and your last cake layer. 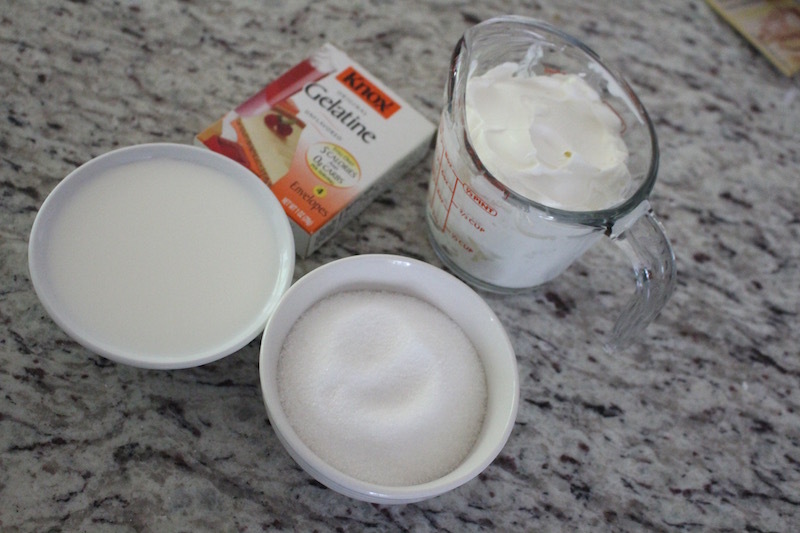 Using a spatula add cream to your top and sides. 6.) 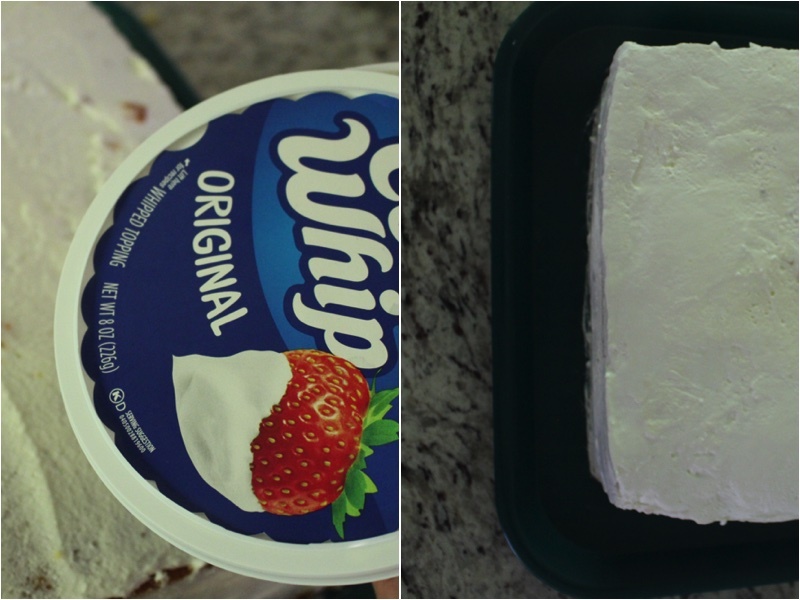 Last but not least add one layer of cool whip to the sides and top using a spatula. Decorate and enjoy! 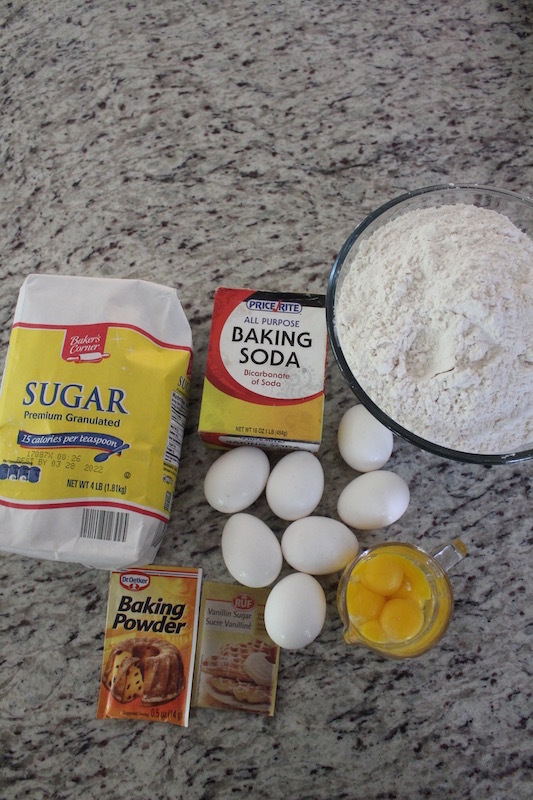 In a mixing bowl beat your eggs on a medium speed while gradually adding sugar. Next add baking powder, vanilla sugar and sifted flour. 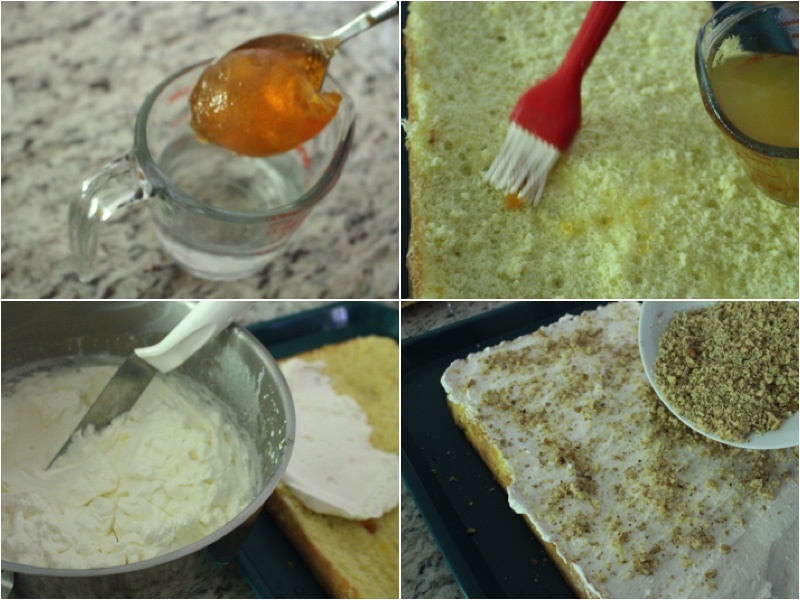 Mix with a spatula and pour your mixture into a cake baking rectangular pan. (10x14 inches). Bake for 35 minutes on 375ºF or until a inserted tooth pick comes out clean. 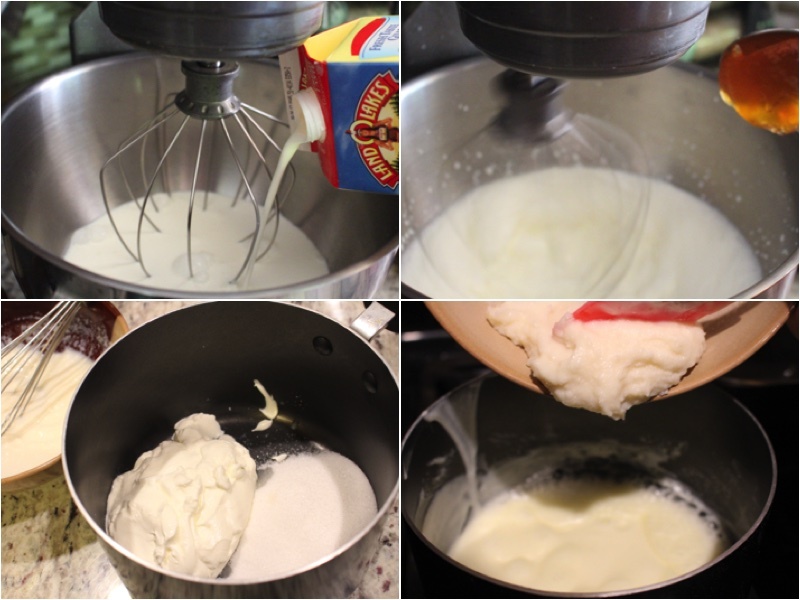 Beat your egg whites with sugar until high peaks form. 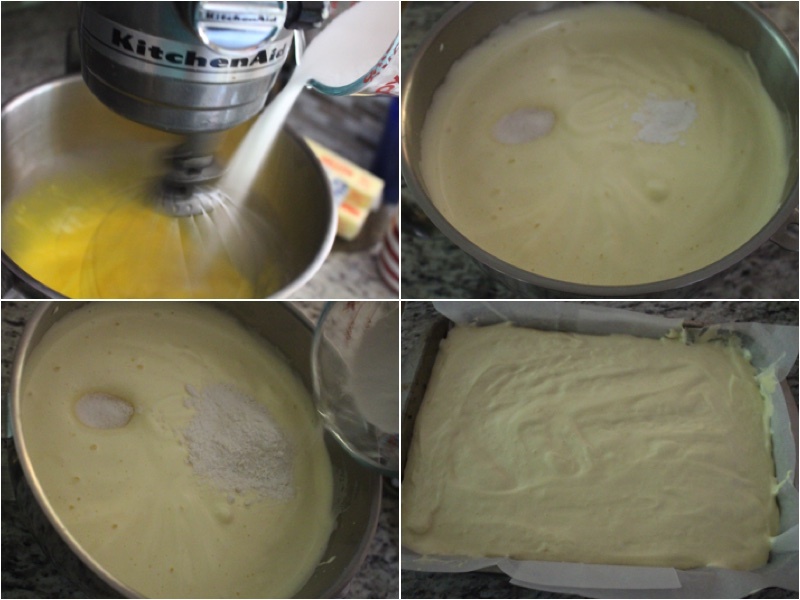 Pour your meringue mixture into the same cake pan with parchment paper and bake for 30 minutes on 250ºF and then change the temperature to 200ºF and cook for 2 more hours. While the meringue is baking, mix your gelatin with milk in a separate bowl and let it sit in a room temperature are for 20 minutes. 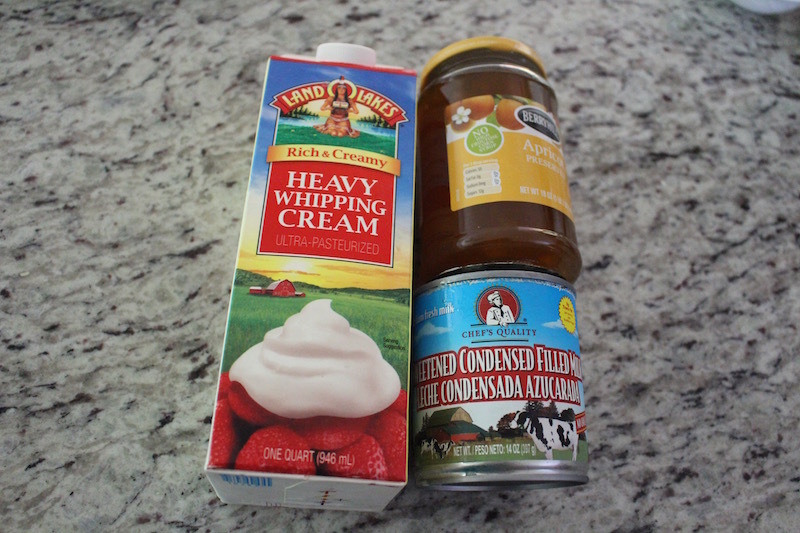 While your gelatin is sitting beat your heavy cream with apricot preserves until you have a soft cream. Continuing add your sour cream and sugar into a pot and mix. Place your pot on a stove and heat it up until it starts boiling on a medium heat. Afterward add your gelatin mixture to the sour cream and mix well with a spatula. Turn the stove on again and bring it to a boiling point with the gelatin. 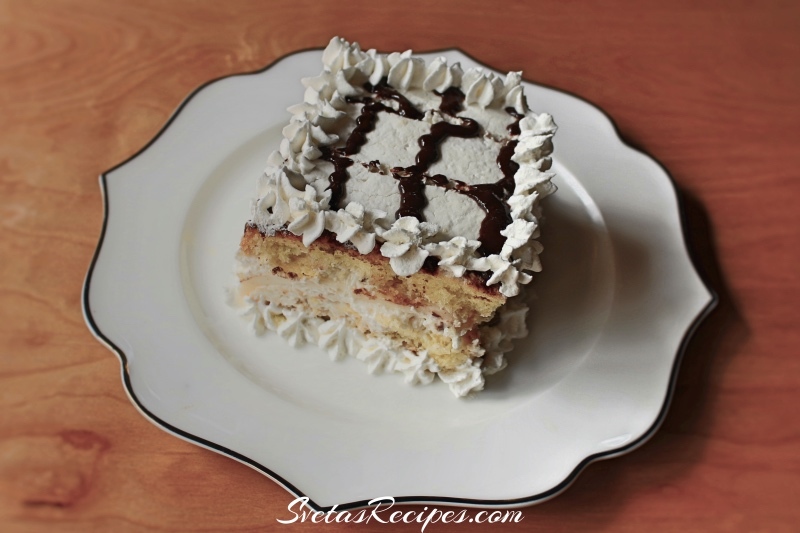 Pour your gelatin mixture into another cake form and place it into a cold area. Mix apricot preserves with boiling hot water. 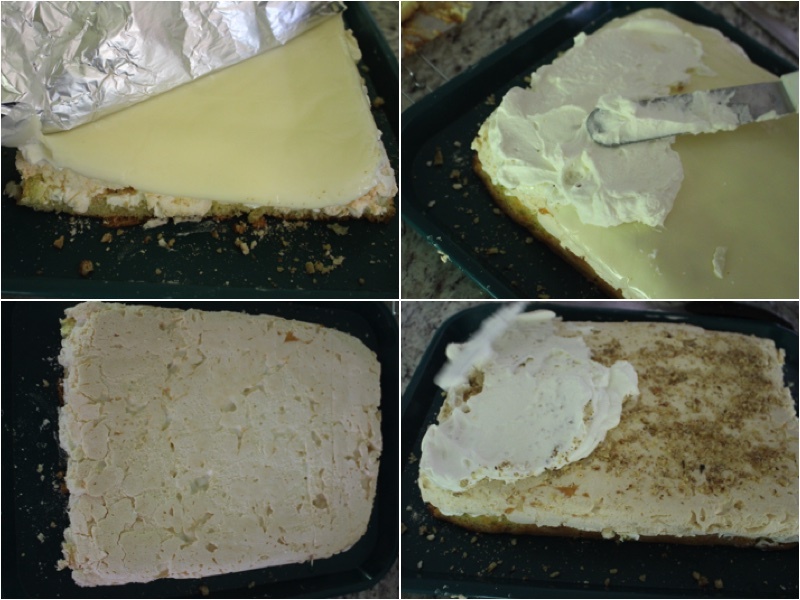 Take the cake that you baked earlier and cut it into 3 different layers. Soak each cake layer with your apricot preserves mixture, next add cream using a spatula. Sprinkle your crushed walnuts on top of the cream. After, add your gelatin layer (Birds Milk) on top of the walnuts. Add another layer and add your cream and crushed wall nuts. On top add your meringue and your last cake layer. Using a spatula add cream to your top and sides. Last but not least add one layer of cool whip to the sides and top using a spatula. Decorate and enjoy! Delicious, will have to make it soon! Thank you for the recipe! No problem, Hope you like it.